It's not only during the hot months of summer that you are prone to sun damage. Even during the cold months, the UV rays can damage your skin. Whether it's a sunny or cloudy day, the moment you step out of the house, you should be protected with a good sunscreen. 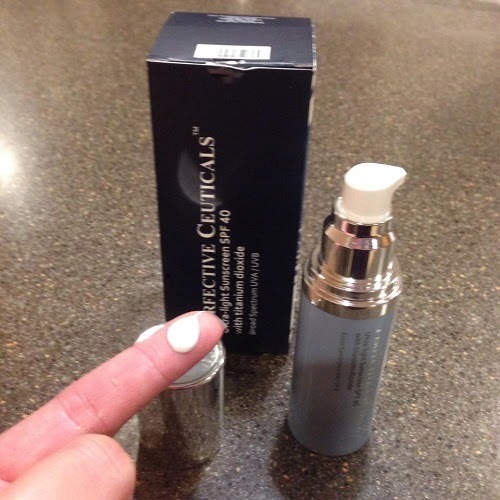 Today's discussion is about Perfective Ceuticals Ultra-light Sunscreen SPF 40. Ultra-light Sunscreen SPF 40 with Titanium Dioxide is a non-comedogenic, broad-spectrum sunscreen formulated with naturally occurring Titanium Dioxide and cellular-protecting plant extracts. It offers skin protection from UV rays that contribute to skin damage and premature aging. Utilizing an exclusive ultra-light technology, it glides on smoothly; leaving the skin with a soft, non-greasy finish. Perfect to wear alone, over daily moisturizer or as an invisible makeup primer. Fragrance-free. 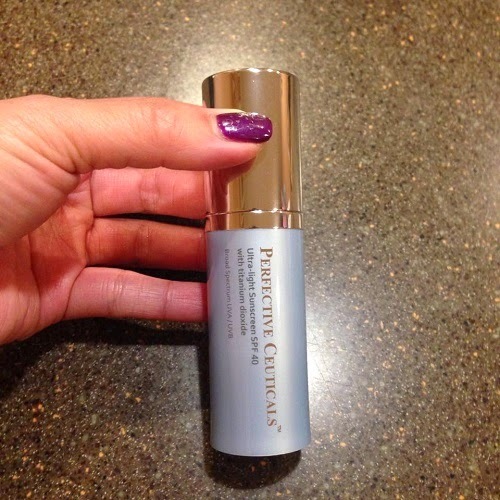 I love Perfective Ceuticals products! My skin loves their moisturizer and eye therapy cream. The sunscreen has a very nice consistency and, true to their claim, it is very light. Too light that it's like you're not wearing a sunscreen at all. The cream has a very mild scent. Very mild that you don't have to worry about mixing with the scent of other products you use on your face. It's easy to apply and is very gentle on the skin. I didn't feel any sting after applying unlike some facial sunscreens that I've tried. It glided smoothly and I love that my face does not look shiny and my skin feels very soft. It's cream based, but it's not sticky. I love this product! Overall, this sunscreen is really nice and it works as a great moisturizer as well. 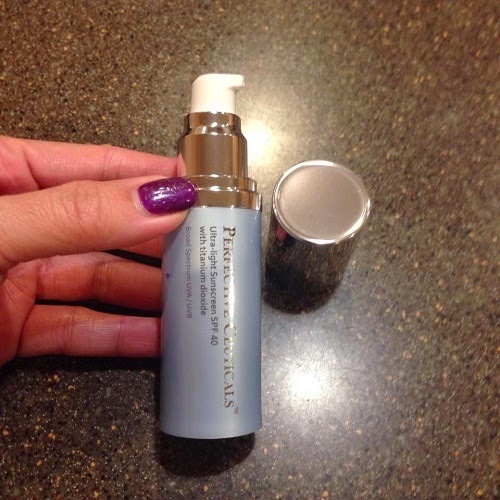 If you are looking for a product to combat the signs of aging and protect your skin from the damaging rays of the sun, this is a great product to try. 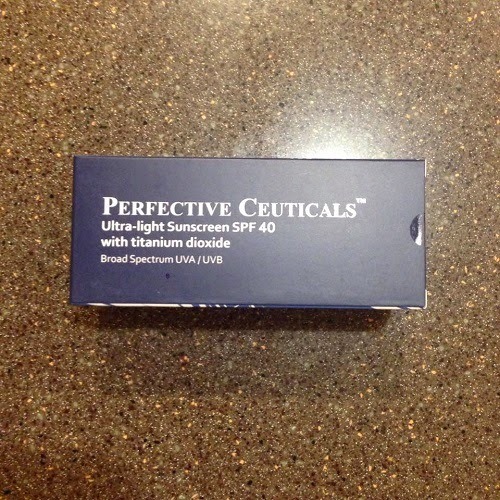 You can purchase the Ultra-light Sunscreen SPF 40 through the Perfective Ceuticals website and on Amazon. The sunscreen is fairly priced at $48.00. Disclosure: Product/s mentioned above were sent to me for evaluation purposes. No monetary compensation was received to write the review. All opinions expressed here are 100% my own. However, I only recommend products or services I use personally and believe will be good for my readers.